Due to the use of different electronic appliances, household items, and other products, huge amount of rubbish is generated on daily basis. These particles are not something that can be removed easily as they are larger in size and sometimes it becomes too dangerous to dispose them alone without any professional help. For example when your refrigerator stops working and you decide to dispose it, it will be dangerous for you to break it and throw it away. There is also the danger of the leakage of coolant gas when one tries to break the refrigerator. You get the best waste disposal services in Putney, London by hiring our professional team which provides special junk removal service. The services are delivered at competitive rates and are very nominally charged. The price depend on the amount of rubbish that has to be removed and the size of rubbish which will be cleared. You get different packages from our company and you can always ask for a quoteover the phone. We provide junk cleaning services in Putney, London for residential properties and offices. Many times after some renovation or remodeling work huge amount of junk piles up at home, especially when we go for remodeling our kitchen. Junk and rubbish are generated almost daily in every office. These can be in the form of durables, some paperwork, or other forms of stationary and not to forget the electronic appliances too. The photocopy machines, computers, and fax machines are all replaced in offices regularly. The easiest way to get rid of these junk materials is to call a professional team of cleaners and the place will be free from all the rubbish that was created. 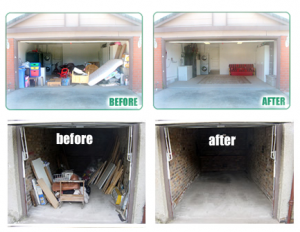 We also provide this service of removing rubbish on daily basis. It can be any type of waste either dry or wet waste, you just need to keep them outside your home in a bin. If you live in a community then it will be done on a communal basis, but if you live in a house then you need to negotiate it beforehand with the company.